Is it okay for men to wear hats in church? 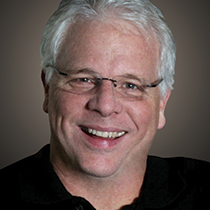 Pastor Mike Glenn explains why church is about Jesus and not about individuality. Before leading his team into the Sugar Bowl in the New Orleans Superdome, Coach “Bear” Bryant was asked why he wasn’t wearing his trademark “hounds tooth” hat. We went through a time when no one except coaches wore hats. Now, hats are coming back and guys are wearing them again. Of course, they aren’t wearing them the way our grandfathers did. Hats (mostly ball caps) are being worn sideways, backwards and …they’re being worn inside and even in church. This has caused an occasional moment of frustration among some senior adults who see young adults wearing hats in the sanctuary as rude and young adults who see the senior adults as curmudgeons trapped in Victorian concepts of style. As with most things, both sides are a little bit right and a little bit wrong. A long time ago, hats were worn as a sign of status. You could tell a person’s social rank by their hat. The more grandiose the hat, the more important was the person. So, when a man came into the church, he would remove his hat as a way of saying no one has any standing before Christ. In this way, we’re all the same. We’re all sinners in need of grace. No one is more important or less important; no one is better than the other or worse. We all stand bare headed at the foot of the cross to remind ourselves of this. Now, we don’t wear hats so much as signs of rank, but signs of our individuality and our “cool.” Hats now are all about style. They’re about statements. We want people to notice us. We want to tell them about who we are, what we believe and what we think matters. And that’s why we take our hats off when we come into the church. The church is all about Jesus. Anything that would draw attention away from Jesus to ourselves is wrong. A preacher who draws too much attention to themselves and takes attention away from the message is wrong. A soloist who makes it all about them is wrong. And hats that make it about us and not about Jesus…well, they’re wrong. A long time ago, men took their hats off because no one out ranked Jesus.